Albright Remembers Havel As An Artist, Hero Vaclav Havel, the Czech playwright who led a revolution to bring down the country's communist regime, died Sunday morning. Former U.S. Secretary of State Madeleine Albright remembers Havel as a friend, an artist and someone who brought opportunity and possibility back to the Czech people. 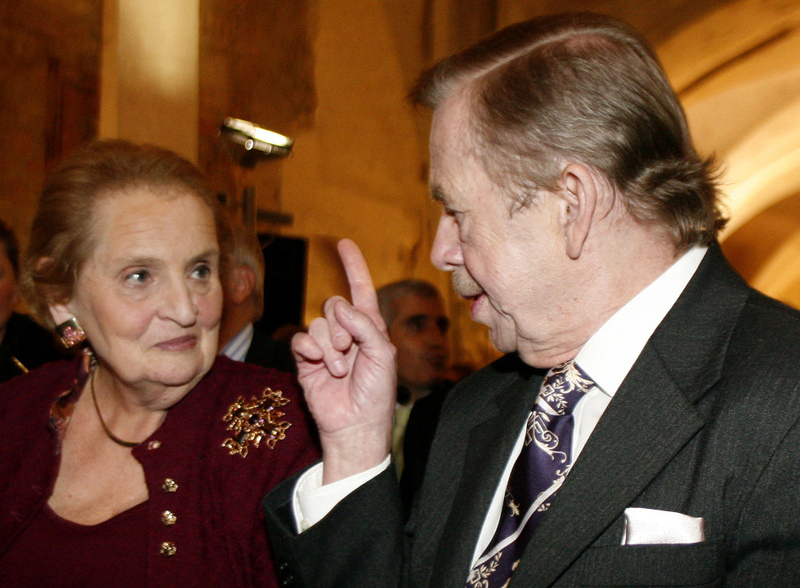 Former U.S. Secretary of State Madeleine Albright, left, talks to Czech former President Vaclav Havel, right, at a conference in 2007. Albright remembers her friend as an artist, a jazz lover and as an inspiration to the Czech people. "He was an active dissident and a believer in human rights throughout his entire life ... even under the most desperate communism," Albright tells weekends on All Things Considered host Guy Raz. "[He] was there in order to lead his country in the Velvet Revolution and in a remarkable time of integration into the West." Though often jailed as a dissident, Albright says Havel was not someone who took himself too seriously, and was, in fact, reluctant to take on the role of president in 1989. But his important role in the dissident movement made him someone the people looked up to, she says. "He saw the world through the eyes of an artist and a moral human being," she says. "[His stature] was of newness and morality and a spirit of what the future could be about." Albright remembers Havel as a wonderful person that you could a have any type of discussion with, but also as a jazz lover. She recalls a trip to Prague in 1994 where Havel shared that love of jazz with President Bill Clinton. 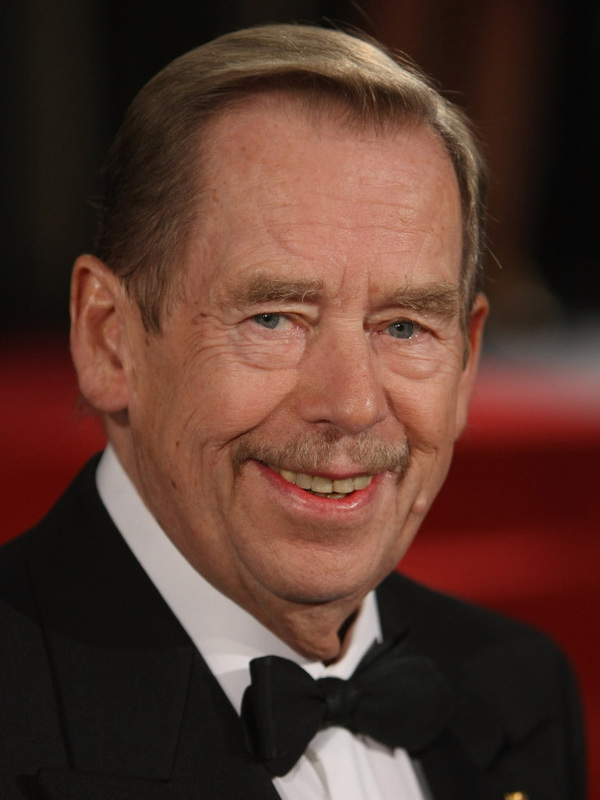 Former Czech President Vaclav Havel died Sunday in his weekend home in the northern Czech Republic. He was 75. "We had official meetings and then we all went to this great jazz club," she says. "President Havel gave President Clinton a saxophone and they all stood there playing. [Havel] didn't have a lot of rhythm, but he loved the music." Albright hopes Havel will be remembered for bringing opportunity and possibility back to the Czech people. The Czech Republic is much different today than the country she and Havel grew up in, she says, but for young people, he personifies what is possible for a small country. "He is one of the most important figures of the 20th century in terms of his understanding of humanity, human rights, democracy, principle [and] morality," she says. "To the extent that people want to identify with that, they will see him as a great hero."